Odair was great to work with - starting from his upfront quote, to the clean up afterwards. He explained his plan well, and was honest about using some of the existing wood, and what needed to be replaced. He did a fantastic job in a short amount of time - even worked in the pouring rain. Will definitely be in touch for future projects. Thank you! Thank you Trish! And thank you for confiding in our services. 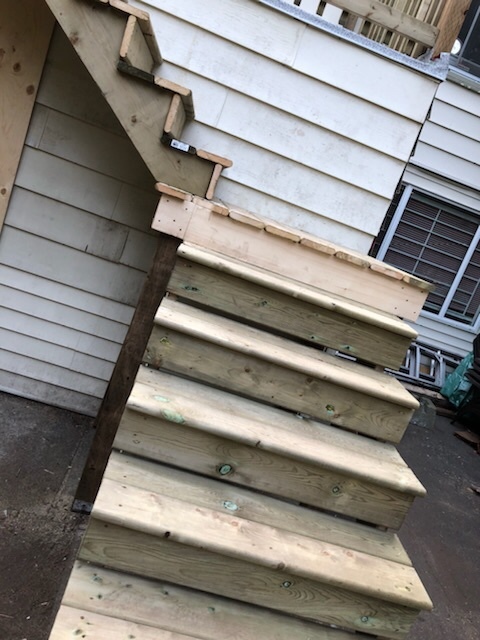 You were a pleasure to work with and I am glad I was able to do your restoration project so you may use your restored deck/stairs safely from here on. I hope to work with your again in the near future. Odair and Stephanie were great to work with and were very friendly. 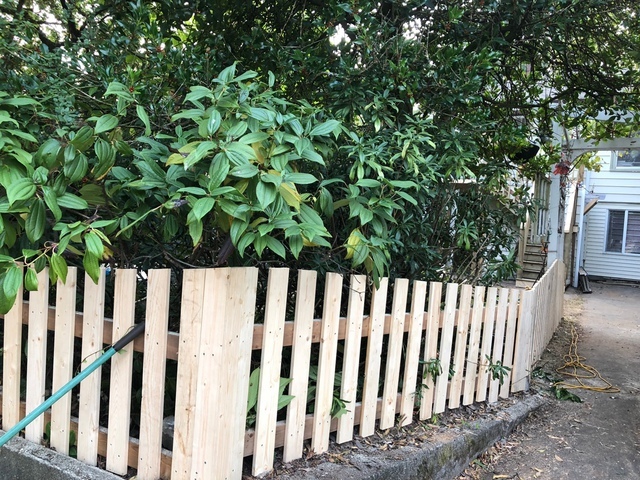 They repaired my fence and it turned out really nice! I was very pleased with their work. We had a great rapport and he was very thorough and honest. I would definitely use their company for future projects. Thank you Odair and Stephanie! Thank you Jeff for confiding In is to restore your fence and we are so happy with the outcome and that you are happy with our service. We hope to work with you in the future for any projects you may have. Enjoy the new fence it looks great! I needed baseboard moulding ,casing and transitions to be installed. Thank you so much for the opportunity to let us help you with your home project. It was a great pleasure working with you. I hope to assist you with any of your future home projects. Odair (Blueline Carpentry) is, to my opinion, very capable carpenter. He has done first class job to repair the shed (below our deck) which had quite a few posts and joists rotten. The job that some other contractor could not complete. He has also done quite a good job when replacing the deck. Provided written quote with a scope of work and material needed. Reasonably priced. Very friendly and cooperative personality. I have already given him another job and would gladly recommend him for carpentry type of work. Thanks again! Thank you Vladimir it was a pleasure working for you thank you for being great with being detailed with what you needed completed and for prompt communication. I hope you and your family can now enjoy your rebuilt deck and shed for many summers to come. I am glad we were able to help you complete all your home projects. We are always here to assist you for any future needs you may have. Blueline Carpentry did an amazing job renovating my home from carpet to hardwood flooring. They declattered the old and moldy material from my house and left it sparkling clean. They made me feel like I walked into a newly built home. I will certainly request their services again as well as recommend them to all my friends and family members. The best quality service I have ever gotten for the such a reasonable price. Thank you Nancy it was such a pleasure working for you. I'm glad we were able to make such a great change in your home. Thank you for for your much appreciated business we hope to assist you in any of your future home projects. Welcome to Blueline Carpentry. 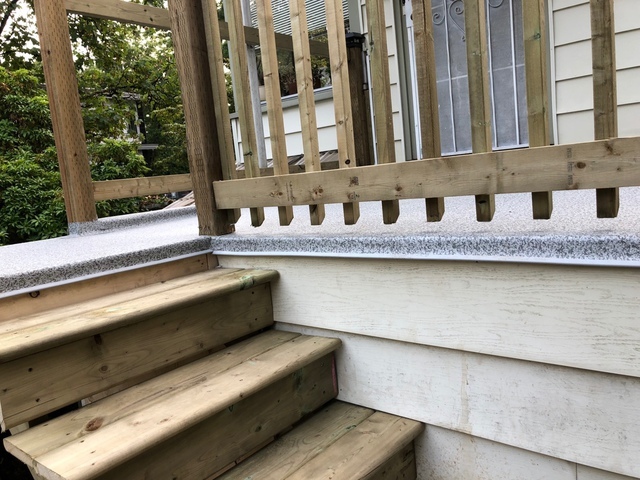 We offer full service interior and exterior renovations including painting, textured ceilings, carpentry, drains, drywall repairs, frames, decks, sheds, and deck repairs for both residential and commercial. Now and for the summer months we're offering a 10% discount on any exterior painting or carpentry repair or renovation jobs.